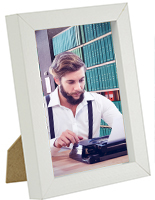 These 5x7 matted photo frames include a clear glass lens that protects artwork, photographs and other graphics from damage. 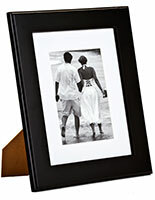 The picture holders feature a minimal black design that accentuates any insert. 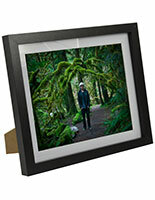 The photo frames are made of strong wood to last for years. 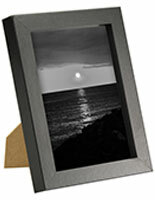 Each display features a thin profile of 0.5" and feature a rear loading door that makes changing prints easy. 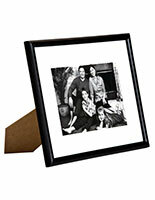 The black wood frames' white matting accentuates graphics and can be removed to fit photographs measuring 7"x9". 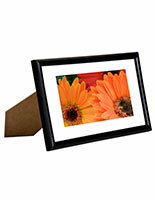 The picture holders with a lens are also available to hold 4"x6" or 8"x10" prints. 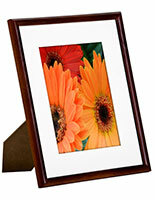 10.0" x 8.0" x 0.5"
The frames are fine. The glass is very dirty so I had to clean both sides of the glass. 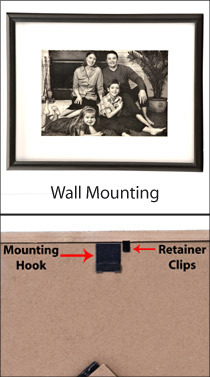 You get what you pay for so if you are looking for "high quality" these are not the frames you want. 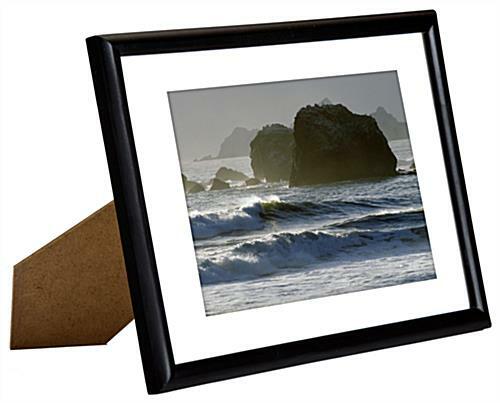 Nice wood frames. (ordered 107) Well worth the money. They where bought to use in the church to put pictures of missionaries in.